Yellow is the color of sunshine and happiness. A lily is a flower that is well-known for creating happiness and love. Its beautiful buds mesmerize everyone. 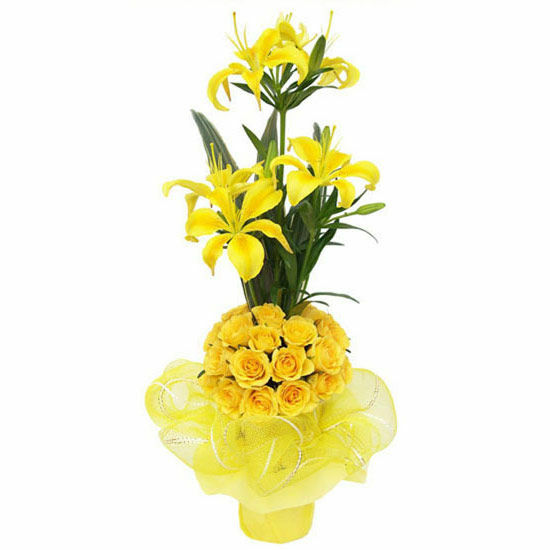 This beautiful assortment of yellow lilies and yellow roses adorned with long green leaves, make for a perfect gift to wish your loved ones with love and care.